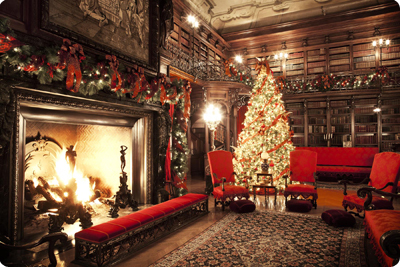 George Vanderbilt's library during Christmas at Biltmore, Courtesy of Biltmore. The Biltmore House, built in 1895, is a magnificent estate with 250 rooms and 8,000 acres in the Blue Ridge Mountains, is the largest privately owned home in the United States. At Christmas, the grand home is adorned with decorations and mementos that hint at timeless holidays of a glorious bygone age to memorialize the first Christmas in 1895 when the newly built house was first opened to the Vanderbilt family and friends. 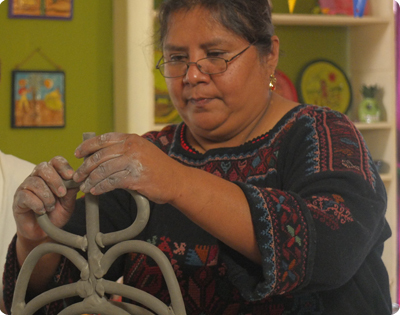 Veronica Castillo is a ceramic artist who crafts exquisitely detailed, brightly colored folk art objects using centuries-old methods and symbols. 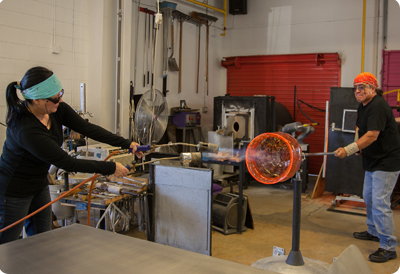 Garcia Art Glass was founded by Gini Garcia in 1998 and is now a family-run hot glass design and fabrication studio that specializes in one-of-a-kind blown glass lighting and sculpture. Susan Garson Susan Garson grew up knowing that she would lead a life in the arts. When she began her master’s work at UCLA, she was drawn to ceramics and decided to use her newly found love of hand building united with her skills as a painter to create functional objects in clay. 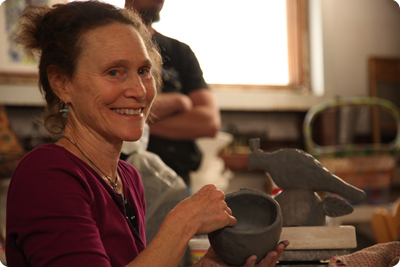 She works with her husband, Tom Pakele in their Boulder, Colorado studio. National Gingerbread House Competition at Grove Park Inn, Mark Markley photograph. 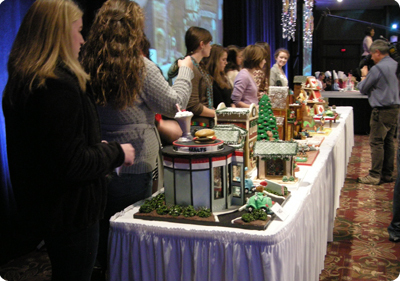 Each year, contestants from across the country bring their unique architectural gingerbread masterpieces to The Grove Park Inn in Asheville, NC, where competition is at the highest level and everyone is a winner at the National Gingerbread House Competition. Harley Refsal teaching at John C. Campbell Folk School, Mark Markley photograph. Harley Refsal is an internationally recognized figure carver, specializing in Scandinavian flat-plane wood carving. Raised in Minnesota, he has lived in Norway in the 1960s and 1980s, and traveled extensively throughout Scandinavia. 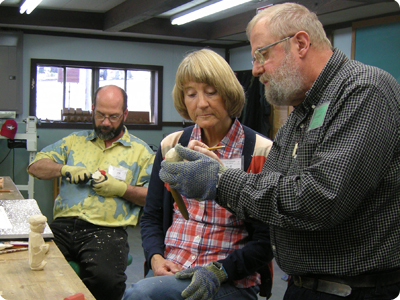 Refsal, who speaks fluent Norwegian, has shared his knowledge of and skills in Scandinavian carving with thousands of carvers through courses and presentations in North America and Scandinavia and has appeared as guest woodcarver on the Prairie Home Companion. 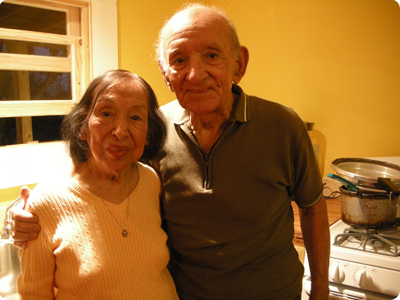 Isabel and Enrique Sánchez have been active in the Chicano pride movement which started in San Antonio in the late 1960s. They continue to pass on family traditions and culture to their children and grandchildren. They are parents to Graciela Sánchez, Director of the Esperanza Peace and Justice Center in San Antonio, Texas. Every Christmas, they hand make tamales with their family to celebrate Navidad. 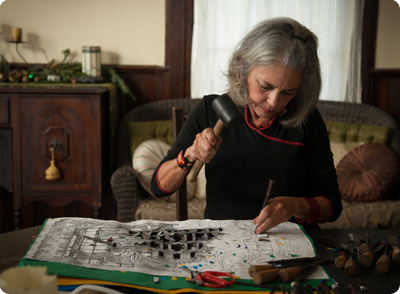 Kathleen Trenchard has researched and worked in traditional Mexican papel picado (punched paper) ever since the early ‘90s when she was introduced to the technique in Huixcolotla, Mexico. Her work explores contemporary designs, applications and materials suitable for cut work using hammer and chisel. Click below to read about the artists. 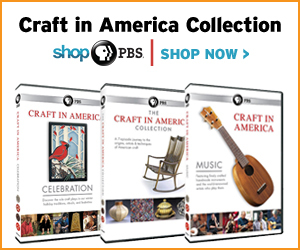 © 2007–2017 CRAFT IN AMERICA All rights reserved.PBS is a 501(c)(3) not-for-profit organization.